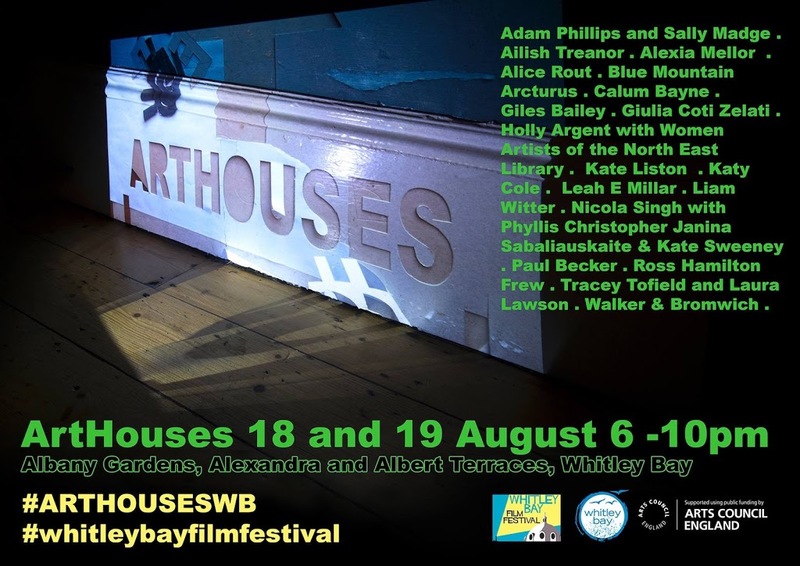 ArtHouses — part of the Whitley Bay Film Festival — is this weekend, Saturday and Sunday 6 -10pm, look forward to seeing you here! Both evenings there will be performances by Giles Bailey at 7, 8 and 9pm; Liam Witter at 8.30pm, Tracey Tofield and Laura Lawson ongoing performance until 9pm. The event takes place in Albany Gardens, Alexandra and Albert Terraces, just a minute’s walk from Whitley Bay metro, where you can also park for free. Map below. Maps of the event will be available when you arrive. More details on Facebook, Instagram and the Whitley Bay Film Festival website.